Download the free sewing pattern here (size 5-8 months). Set your printer settings to A4 paper. When working with knits, it is important use a stretch needle and a stretch stitch. In this pattern all seams are sewed with a twin needle. 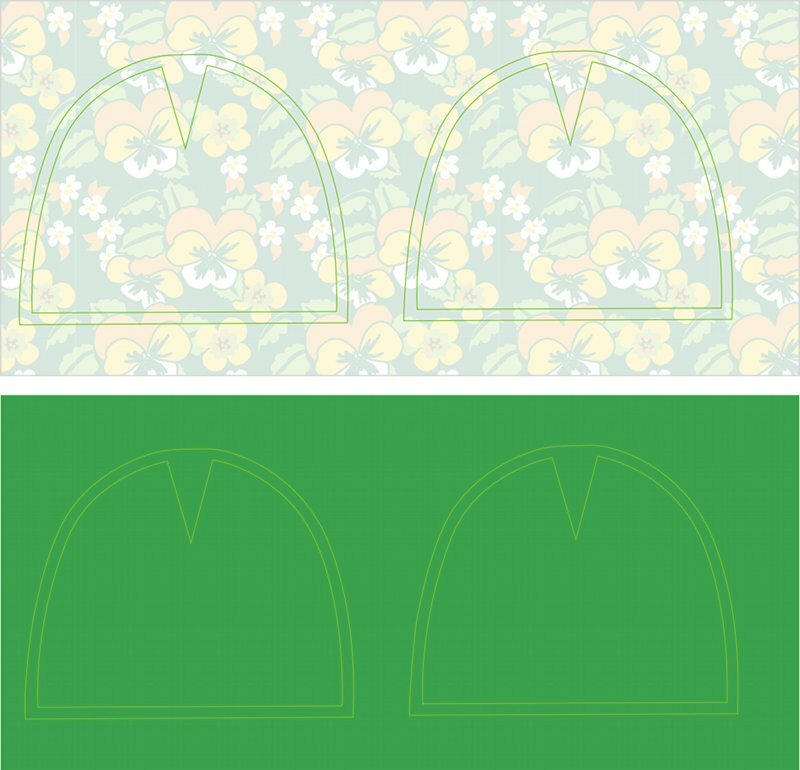 The twin needle will sew two parallel lines of stitches on the top of your fabric, and a single zig-zag stitch underneath, that will make the stitch stretchy. 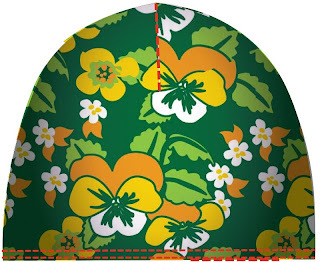 Draw the pattern with an aqua trickmarker on the back of both fabrics. The pattern is without seam allowance. Add 1 cm (5/8 inch) seam allowance. Cut the patterns twice out of both fabrics. Pin the two pieces for the outside of the cap down, right sides facing. Also pin the two pieces for the inside of the cap down, right sides facing. Sew along the outer edge. Do not sew the notches at the top closed. Step 5: Sew the notches on top closed. Sew the notches on top closed. 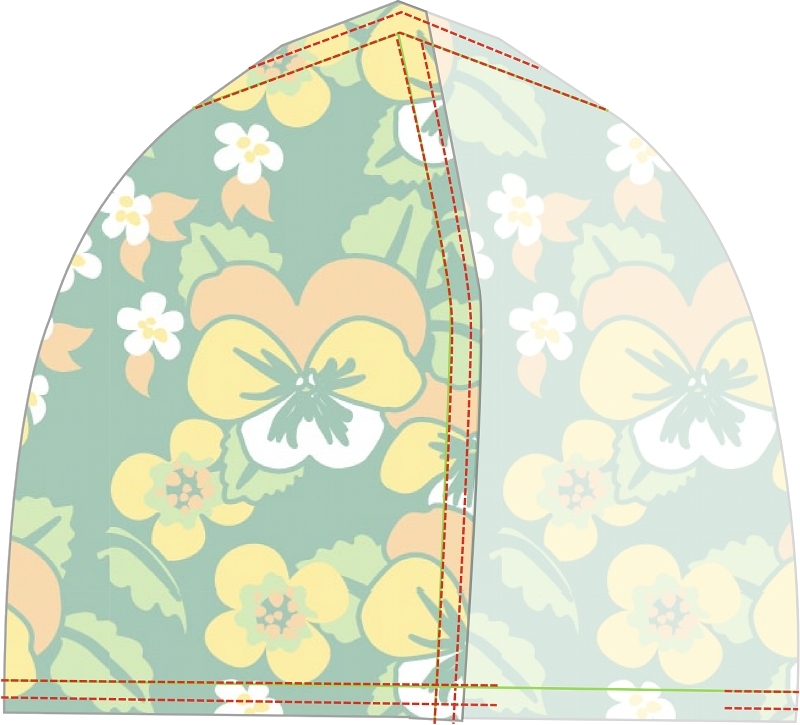 Step 7: Sew outside cap to inside cap. 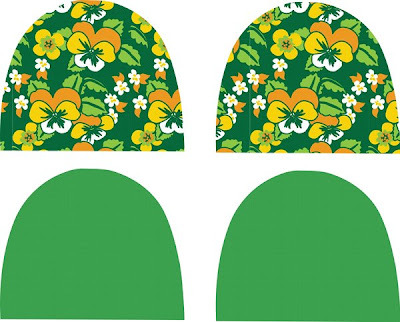 Pin the outside of the cap to the inside of the cap, right sides facing. 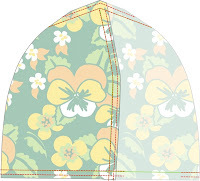 Sew with a twin needle inside and outside of the cap together. Leave a 5 cm (2 inch) opening for turning right-side out. Turn right-side out. Topstitch (Also use a twin needle to topstitch). With a small stitch on top of the cap, handstitch both outside and lining together.